I quit smoking yesterday for the hundredth (and I hope last) time. Months of nicotine-lethargy lifted off me at once and, full of energy, I pedaled this morning up onto Cannock Chase. 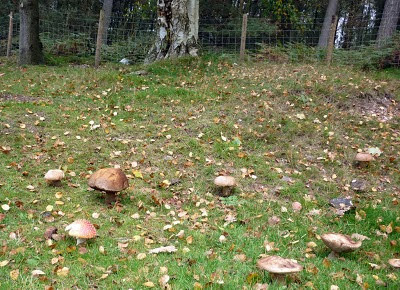 There - shunning the local pastime of watching car-borne couples engage in coitus - I began instead to search for the king of the wild mushroom world, the Cep, Penny Bun or - if Latin's your bag - Boletus edulis. And I didn't find any. I did however find quite a lot of other Boletes and, since I'd never so much as knowingly set eyes on one before, this made me happy. Here we are: a schmorgesborg of gnarled Boletes & lurid poisonous Fly Agarics. Well, I peered at the Boletes and looked at my Roger Phillips and - after much head-scratching - decided that, while these aren't in fact Ceps they're also not any of the few, grim red/orange-tubed poisonous boletes. 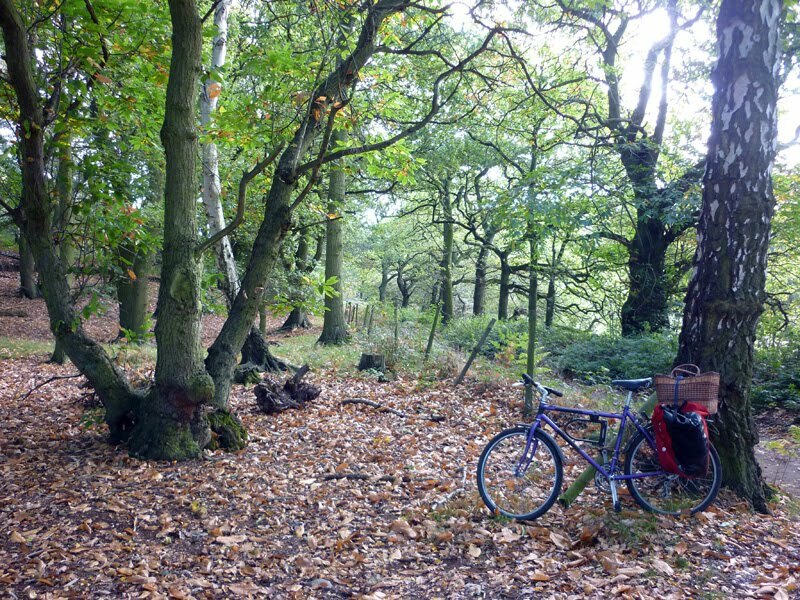 I think they're probably Birch Boletes - so I picked 'em and put them in the basket. I left the Agarics, of course. Six hours of hallucinations, delirium, vomiting and then possibly death? Not my cup of tea today, thanks (though they are pretty). 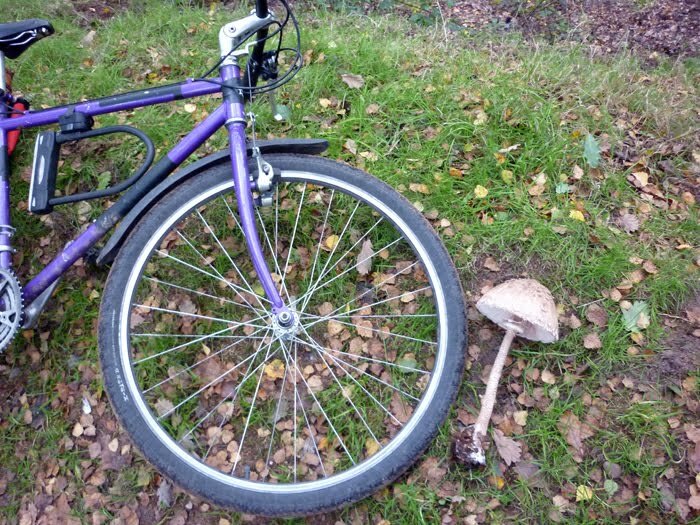 Finally, I found an absolute whopper of a Parasol to close the day with. I have never found a "King" bolete, but have found other boletes while looking for said "Kings." Never had them positively id'd, though. Hope all goes well. 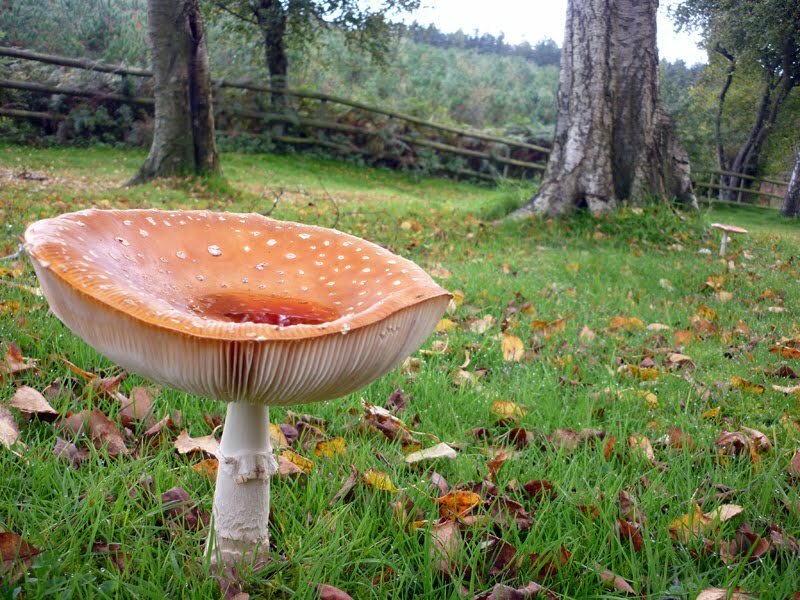 What a cracking parasol at the end, its huge!!! 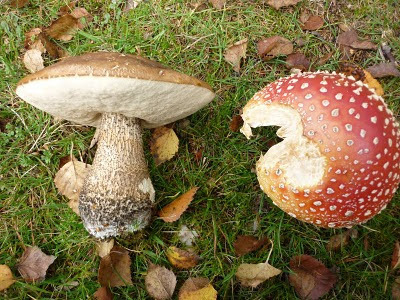 That "bolete" is a member of the Leccinum genus. Often they are mis-named "boletes" but they are more accurately called Leccinum or "Scaber-stalks". 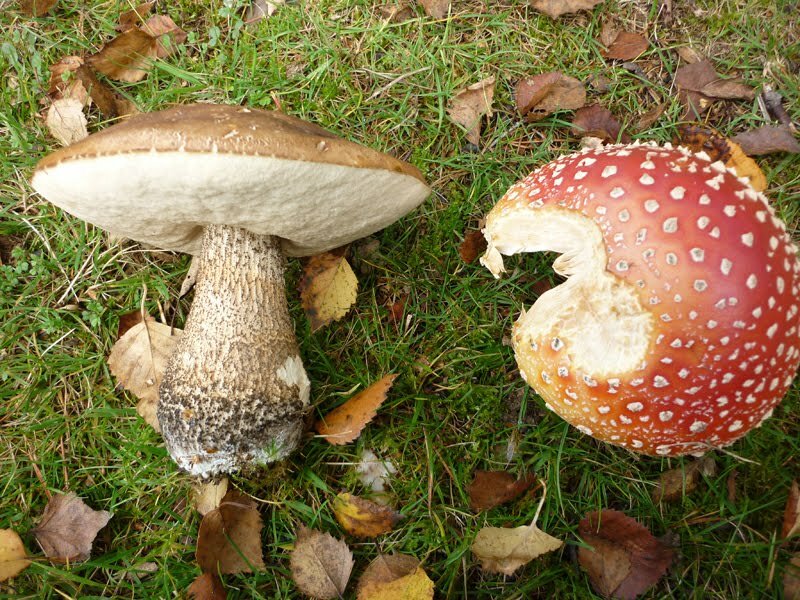 Amanita muscaria (the "Fly Agaric") has, in fact, only been implicated in two recorded deaths. In one case the gent ate something like 26 of them (so might have just died of a ruptured gut) and in the other case, it's quite possible that he had something completely different. When detoxified by soaking or par-boiling, they will produce no toxicity and are, in fact, pretty edible. 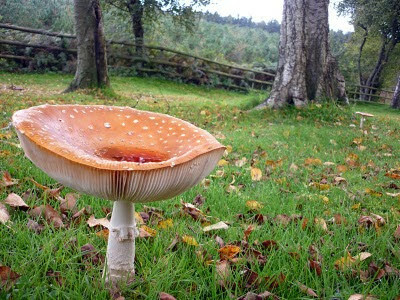 Not the BEST tasting Amanita, but not too bad. That is extremely helpful. Thank you very much, Jason DeLaney.